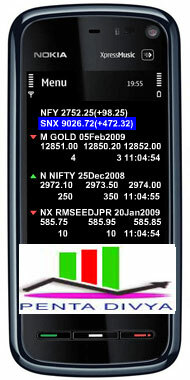 MARKET ON MOBILE is an easy-to-use, user-friendly application for any end-user. , a market participant gets access to equities and commodity exchanges on a real-time basis from anywhere and anytime. Copyright © live rate on mobile 2011. All Rights Reserved.